It’s about that time for one of our fabulous Rosie Rabbit kids party entertainers to bounce in and provide some fabulous childrens themed party entertainment! 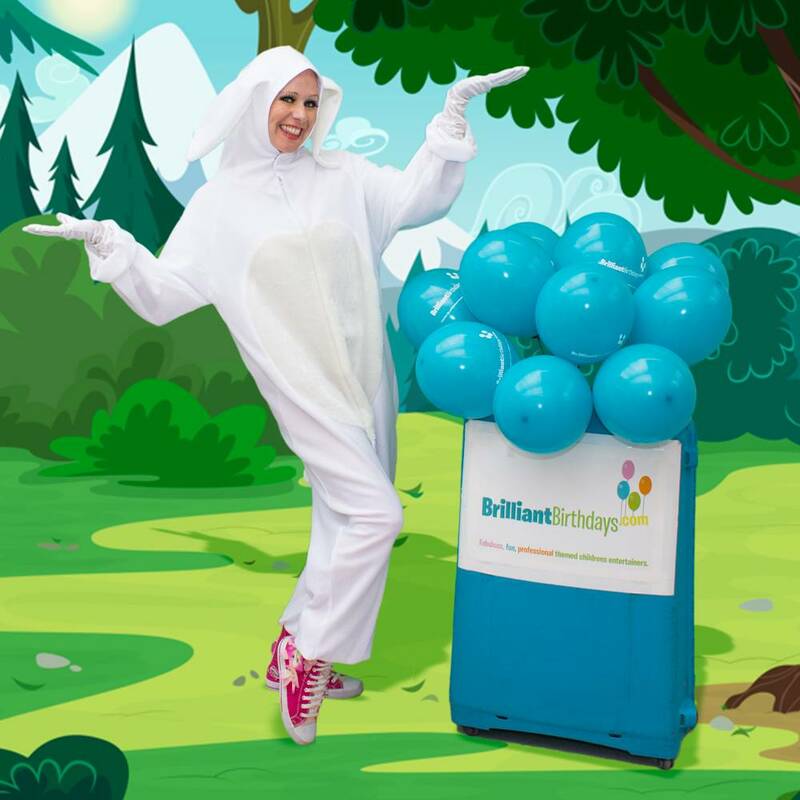 Rosie Rabbit from our Childrens Entertainers London will have up to a maximum of 30 kids jumping through activities that both boys and girls will enjoy! 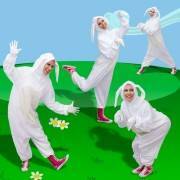 One of our Rosie Rabbit kids party entertainers can provide a spring in your guest’s step for 1, 2, or 3 hours! 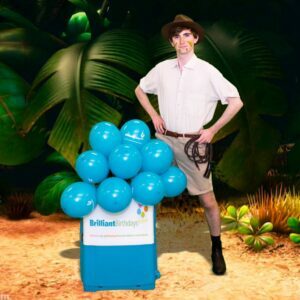 Let one of our experienced Childrens Entertainers London bound along and relieve the stress from your special day by selecting a wonderful range of activities that will best suit your party length! 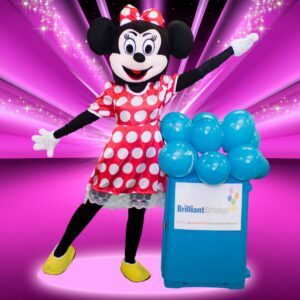 If one of our Rosie Rabbit childrens themed party entertainers will be hopping with glee to your party within the M25, we are very happy to say that no travel charge is necessary! 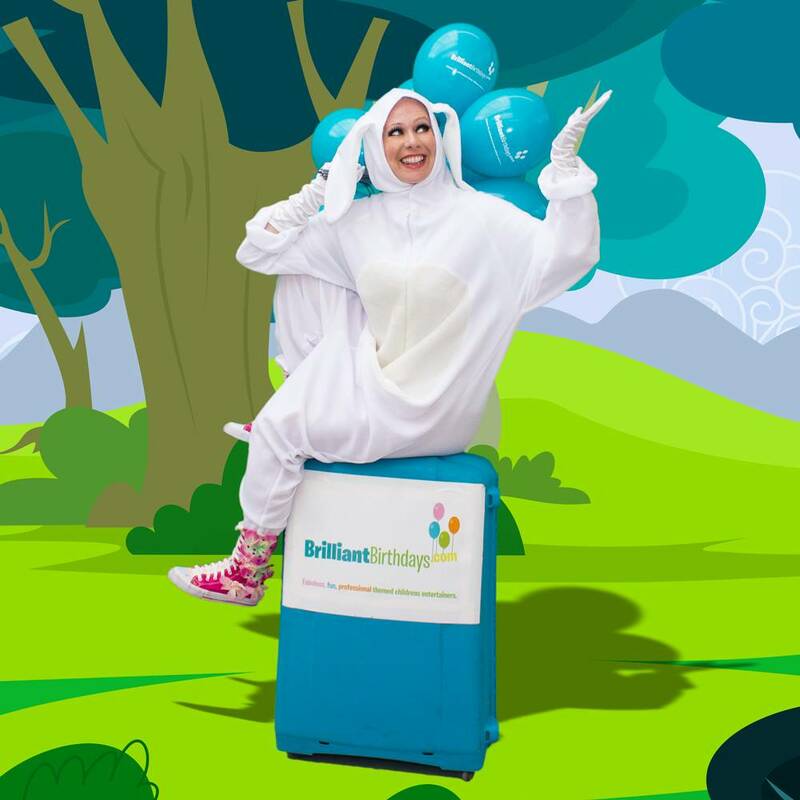 If one of our team from our Childrens Entertainers London will be leaping a slightly further length to a destination outside the M25, there will only be a small travel charge of just 40p per mile, from and back to the M25! 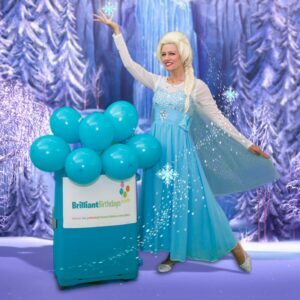 So let one of our Rosie Rabbit childrens themed party entertainers spring into action, and provide some amazing childrens themed party entertainment that will have your guests bouncing with joy long after your party has finished! My daughter and her Friends had such a lovely time with Rosie Rabbit! They all bought their favourite cuddly toy and played with Rosie Happily for the hour that we booked! 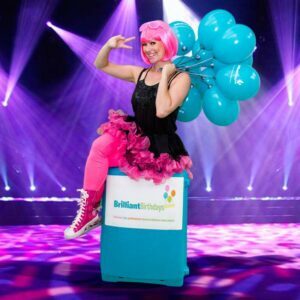 We will definately be returning as the booking process was so fast and simple and the entertainers really are Brilliant armed with an array of props including Bubble Machines, Pom Poms for each child and a wonderful coloured Parachute. I definately recommend! Brilliant Birthdays you are brilliant company! My children enjoyed the Rosie Rabbit you have sent last weekend. I will always highly recommend you in the future. Will be booking again soon the same theme. Thanks again!! We had Claire as a Rosie Rabbit for our Easter Party . She was amazing, all the kids and parents liked her. Lots of fun to watch her in action. Thank you Claire and Brilliant Birthdays! We booked a Rosie Rabbit Party over Easter and I must say the kids loved the party! It wasn’t a birthday just a Easter Family party and it was great to have the entertainer keep the kids busy and happy whilst we enjoyed a proper catch up! A fantastic job from our “Rosie Rabbit” aka Claire! Rosie Rabbit was wonderful, the kids loved her games and my daughter had the time of her life! Excellent Party and Entertainer. Thank You Brilliant Birthdays! We booked Rosie Rabbit and made an excellent choice as Brilliant Birthdays sent a fantastic seasoned entertainer who kept the kids totally engaged and she was really pleasure to have at the party! We will be booking again next year! Excellent Service from beginning to end would recommend! 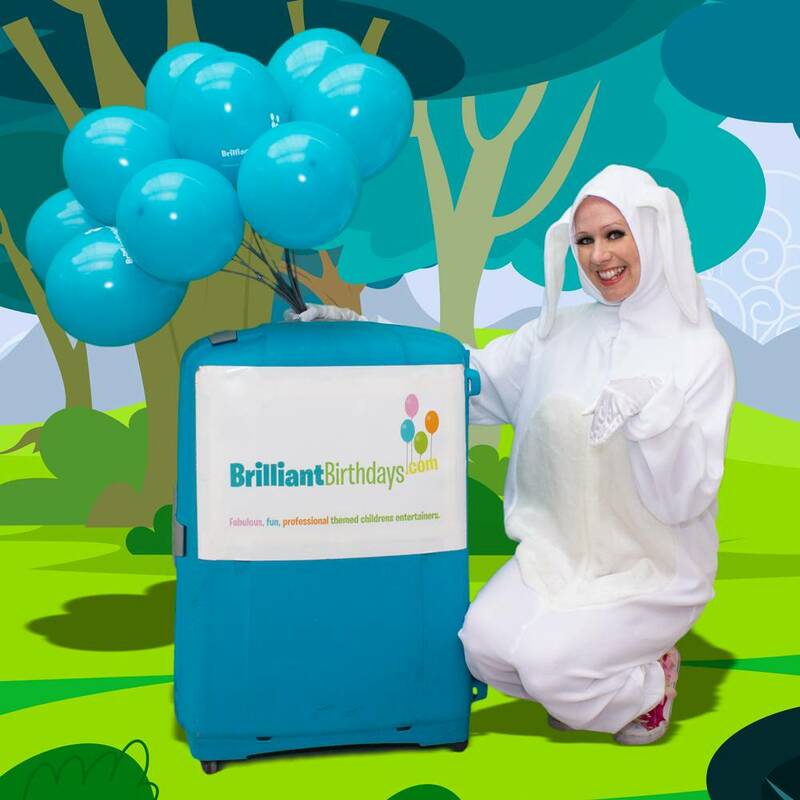 I used Brilliant Birthdays for my daughters 4th birthday party. There were twenty children there and all of them were made to feel involved and special, especially the birthday girl. Everything went perfectly! I will 100% be booking soon again! The party went very well and we thought Rosie rabbit did a great job. Thank you for arranging everything for us! Kind regards! We hired Brilliant Birthdays for my daughters 3rd birthday party. The children were completely entertained for the whole 2 hours, playing games and learning dance routines. I would highly recommend this company to all parents looking to make a brilliant party for their child!